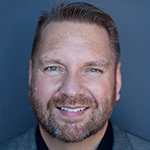 Brian is a thought leader in the PR and Social Media world because of his leadership in advancing public knowledge on the topics. His thinking has helped pioneer the popularity of the hottest marketing and communications channel since the internet gained mass adoption. We are fortunate that Brian partnered with Deidre Breakenridge, also a pioneer in the world of PR, to document their strategic insight into the changing world of Public Relations and specifically, what PR and communications professionals can do to survive and thrive in a word of democratized information. As an active participant in the PR industry, my agency’s work with providing SEO consulting to Public Relations organizations such as PRWeb, the PRSA and many others as well as speaking at PR events including PRSA International, PR News and Media Relations Summit, has exposed us to the explosion in interest in social media for communications. It’s more than interest though. For many PR professionals and agencies, it’s a desperate need to innovate to stay alive and be competitive. Companies are driving their PR firms and internal staff to adapt to new media and social technologies in order to remain visible to their customers. 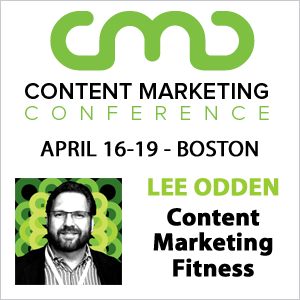 Consumer trends in information discovery, consumption and sharing have shifted the centers of influence from traditional media outlets to a combination of bloggers and social media savvy publishers. With those changes afoot, this book offers a 360 degree view in 5 parts for PR professionals to begin participating vs pushing with customers vs users. Part I: There’s something wrong with PR. Putting the Public Back in Public Relations outlines some of the key issues facing public relations professionals and why traditional PR tactics simply aren’t as effective. Instead of information conduits, PR practitioners need to be part of the story and conversation. It’s about dialogue, not monologue. Through their own insights and from those in the thick of the PR industry, Solis and Breakenridge cover key issues facing the PR industry and make comparisons between traditional PR and PR 2.0 as well as what role new media PR plays in the changing world of journalism. Part II: Tools and tactics to join and succeed in customer conversations. Understanding the new world of social and digital PR starts by getting a handle on the language. That means getting rid of terms like “users”, “audience” and “messages”. It’s customers we’re trying to reach with information and stories, not generics like “users”. Approach marketing more as a consumer and less like a “PR person” to show your investment in knowledge, your empathy for customer needs and understanding of what’s important. The tactics to engage customers outlined in the book include: blogger relations, social media news releases, video news releases (2.0) and corporate blogging. Tips are given in each area as well as tools. Part III: Social Media is not about the technology, it’s about the people. Social tools can be overwhelming, so it’s important to remember that tools will change, but the importance of engaging with people will always be important. Using standard marketing tactics and messages with social tools does not lead to engagement. PR professionals would be keen to focus on the sociology of internet communities more than their need to disseminate information. Participation with social networks (Facebook), micromedia (Twitter) and facilitating those channels to reach PR objectives is more about communicating with people, not at them. Besides outlining the key social roles of PR professionals, the book also provides specific advice on how to integrate those roles into the PR organization. Part IV: The future for PR is about community. Social media isn’t just about PR and can affect all aspects of an organization from marketing to customer service to product development. The role of community relations is essential in a PR 2.0 strategy. As PR professionals participate in communities and tell brand and product stories, they’re also in a position to listen to customers and gain valuable insight into the effect of their efforts as well as new communications opportunities. Solis and Breakenridge provide specific guidelines for community managers, developing an inbound and outbound communications program, social tools, rules for breaking news and new metrics for PR 2.0. Part V: How does it all fit together? The convergence of PR 1.0 and 2.0 means the PR industry needs to embrace the changes brought on by the social web and incorporate expertise from other disciplines such as: web marketing, web analytics, viral marketing, customer service, social tools, focus groups and crowdsourcing, cultural anthropology and market analysis. As mentioned earlier, PR cannot succeed simply through information distribution, but through content creation and social participation. PR must become part of the conversation with customers. 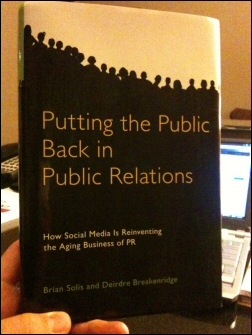 I’ve only touched on a few of the key points from the book, but my overall impression is that Putting the Public Back in Public Relations is a must-read book for anyone in PR or marketing that wants to stay alive and thrive on the social web. There’s a well structured mix of PR industry level setting and social media principles right along with practical tactics and insights readers can implement as soon as they put down the book. You really did a great job giving us a preview. I can't wait to get my hand on that book. Keep those posts coming, Lee! Good review. This touches on a lot of topics that I have been experiencing in the industry as PR undergoes massive change. I will have to check it out. Thanks for the review. This book sounds great and I will definitely check it out. I really like the title of this book as it gets to the crux of the issue, which is we've strayed from the true spirit of PR. It's always been about relationship building, but we haven't executed very well. Now, in the hyper-connected digital world, we have no choice. We must put the public back in or we will become irrelevant and extinct. I'm definitely going to take a look at this book. Let me know what you think after you've read it! Je suis tellement heureux pour les produits i ordre, parce que les chaussures de l'air très bien, mais à des prix fous 39usd. est-ce que quelqu'un m'aidera à vérifier le site Web si elles offrent le réel, réel ou non des chaussures. mais toute fa?on, et la qualité des chaussures est grand, j'aime bien les chaussures.